The following reflections have been shared by a mother of a son who has a degenerative metabolic condition, with multiple associated complex health needs and learning difficulties. The following comments are from her own experience and the suggestions for the future also come from another family involved at the same time in the same setting. In 2014, aged 23 whilst living at a residential transition care home, my son had a DoLS assessment and was granted a Standard Authorisation. He had already undergone two Best Interest meetings regarding management of his health and end of life planning so I was aware of those aspects of the MCA but the existence and need for DoLS came as a complete surprise. A phone call from the Best Interests Assessor after her visit. 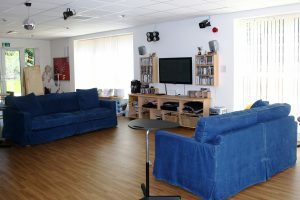 She was excellent; she was very in tune with the challenges a family may face when choosing residential care over home based support, spent plenty of time giving a very clear and personalised description of my son’s assessment, and her reasons for the decision to grant the authorisation all of which made perfect sense. The best part of this experience was a really good, highly personalised and observant report around my son’s needs and level of understanding. It gave me confidence in the process and used his preferred choice of name. Being able to become Relevant Person’s Representative – an important issue for me. A booked call from the assessor would be better as it’s a very important call for a family member and came out of the blue- we didn’t know we would be called, so hadn’t time to consider any questions in advance.